Google is by far the most used engine for online searching (around 65%!). Likewise, users are also using Google to search on their mobile devices. But be on the look out, Google is making big changes to make for a better mobile user experience. Google recently put into place a new algorithm that will rank websites with responsive design higher in Google rankings than websites with no mobile presence. The reason is that more and more people are conducting Google searches on mobile devices rather than on desktop platforms. This information is very important to businesses that rely on keyword searches and Google rankings to bring in new business. Below is a quote from Google explaining how the change will affect all current websites. If your site isn’t fully optimized for mobile devices, you will likely see a hit to your ranking on mobile searches. 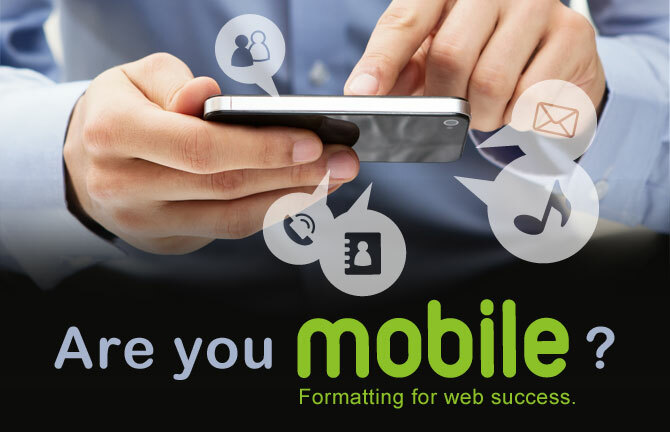 Most people have referred to this date as “Mobilegeddon” or “Mobilepocalyse.” Simply stated, you should expect a significant decrease in traffic if your site isn’t formatted to be mobile-friendly. Is your site mobile-friendly? Check HERE to see if your site passes the test. If you are one of the few who has a website that is not yet optimized for mobile, don’t panic – help is just around the corner. Contact Array today to begin to build your mobile presence and start generating new leads with improved SEO rankings through Google searches on mobile devices!